The High Shine Floor with Cushion! 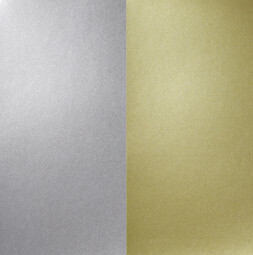 VARIO BRILLIANCE MET is a glossy finish event floor in either metallic silver or gold that adds a “glitzy” feel to any event. It has a slight cushioned backing and gives a “wet look” appearance. Perfect for trade shows, television specials, concerts, fashion shows, stage performances and photo shoots. Available in full rolls only.